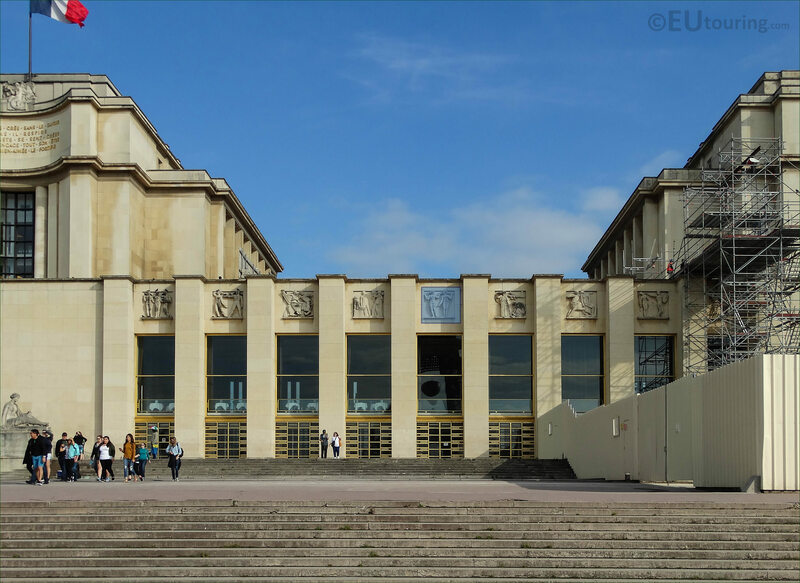 We were at the Palais de Chaillot, which is located next to the Jardins du Trocadero in the 16th Arrondissement of Paris, when we took these high definition photos showing a bas relief that was sculpted by Paul Belmondo. 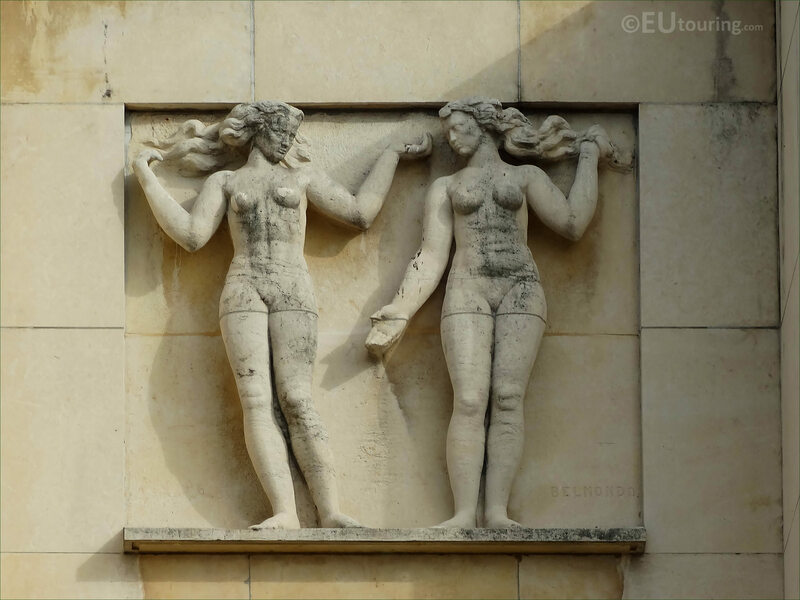 This first HD photo shows the relief of two women facing each other with their hair flowing, which was one of the many architectural sculptures and statues commissioned for the Palais de Chaillot when it was constructed for the 1937 World Fair in Paris, and if you look carefully in the bottom right hand corner you can see this was signed by the artist Belmondo. Now Paul Belmondo was born in Algiers in French Algeria back in 1898 and initially studied in his home country, yet managing to get a grant he was able to study at the Ecole des Beaux Arts in Paris to become a French sculptor, which is the area he remained for the rest of his life. 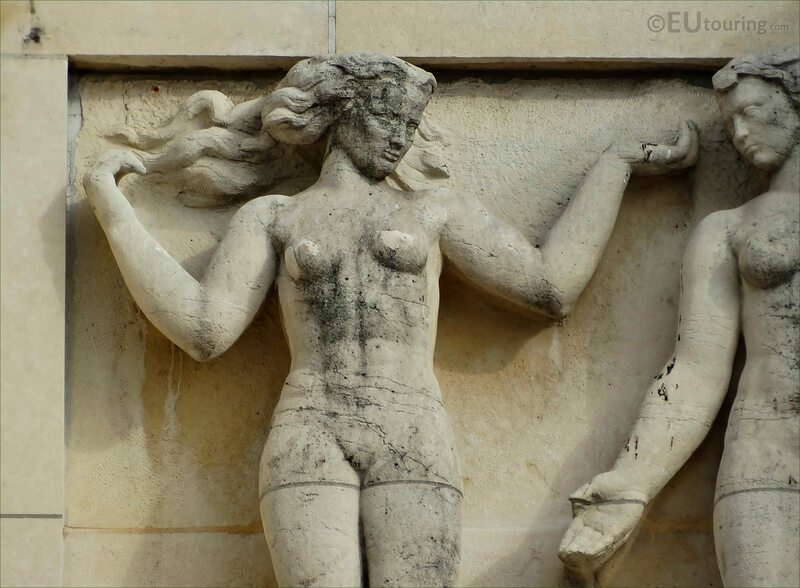 You will find that Paul Belmondo received many different commissions from the French state including this relief executed in 1936, and later became a professor at the School of Fine Arts then became a member of the academy prior to retiring. Yet it was thanks to his son, the actor Jean-Paul Belmondo, along with his brother and sister, that a museum dedicated to Paul Belmondo was opened in Boulogne-Billancourt on the outskirts of Paris, so even more of his works can be admired, although several sculptures of his can also be found within the fine arts museum in Algiers. There are actually nine different reliefs in a line below the esplanade de Trocadero on the facade of the central wing of Palais de Chaillot and this is the fifth one from the left hand side, located above a picture window of the Theatre de Chaillot restaurant, which provides fabulous view to the famous tourist attraction of the Eiffel Tower.